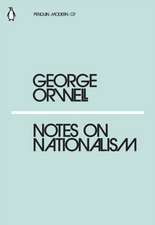 Orwell wrote literary criticism, poetry, fiction and polemical journalism. He is best known for the allegorical novella Animal Farm (1945) and the dystopian novel Nineteen Eighty-Four (1949). His non-fiction works, including The Road to Wigan Pier (1937), documenting his experience of working class life in the north of England, and Homage to Catalonia (1938), an account of his experiences on the Republican side in the Spanish Civil War, are widely acclaimed, as are his essays on politics, literature, language and culture. In 2008, The Times ranked him second on a list of "The 50 greatest British writers since 1945". 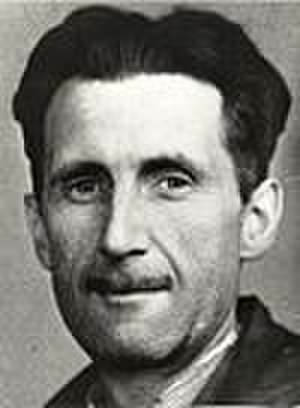 Orwell's work continues to influence popular and political culture and the term "Orwellian"—descriptive of totalitarian or authoritarian social practices—has entered the language together with many of his neologisms, including "Big Brother", "Thought Police", "Hate week", "Room 101", "memory hole", "newspeak", "doublethink", "proles", "unperson" and "thoughtcrime". De (autor) Sparknotes et al. Traducere de Felix Gasbarra et al. Traducere de Michael Walter et al. De (autor) Yevgeny Zamyatin et al. De (autor) Peter Hall et al. Traducere de Wolfgang Rieger et al. Traducere de Susanna Rademacher et al. Traducere de Manfred Papst et al. Traducere de Jean Queval et al. De (autor) Kurt Cobain et al. De (autor) Leslie Mavis Gallant et al.